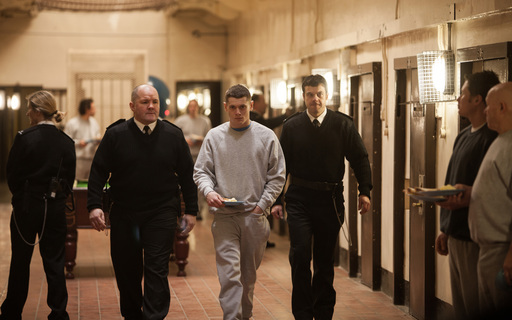 Prison drama Starred Up, Irvine Welsh adaptation Filth and Proclaimers musical Sunshine on Leith head up the nominations list for next month’s BAFTA Scotland awards. Dexter Fletcher’s musical Sunshine on Leith (an adaptation of the stage musical of the same name featuring songs by The Proclaimers) leads the nominations for this year's awards with five in total, while David Mackenzie’s Starred Up picks up four nods including a best actor nomination for Jack O’Connell’s electrifying performance as Eric Love. Filth is nominated in three categories, with James McAvoy and Jon S Baird nominated as best actor and director respectively. From Scotland With Love – made up of footage from Scotland’s film archives and scored by King Creosote – is honoured in the best documentary category, and Claire Lamond is nominated for best animation for her film Sea Front, which was named best animation at the Scottish Mental Health Arts and Film Festival last week. In the non-film categories, surreal sketch comedian Brian Limond – aka Limmy – is nominated for two awards for the Christmas special of Limmy’s Show!, although he’ll have to fend off the commercial monolith that is Mrs Brown’s Boys to grab the best comedy or entertainment programme. Meanwhile Rockstar’s sandbox epic Grand Theft Auto V looks a good pick for the Best Game award. The BAFTA Scotland awards will be handed out at a ceremony in Glasgow on 17 Nov.
Brian Limond – Limmy’s Show! Christmas Special!